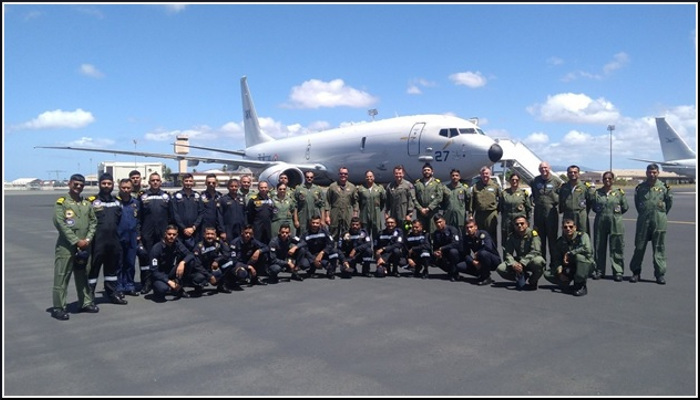 Indian Naval Ship Sahyadri and P8I Long Range Maritime Reconnaissance aircraft are participating in the 26th edition of Exercise Rim of Pacific (RIMPAC) being conducted off Hawaii. 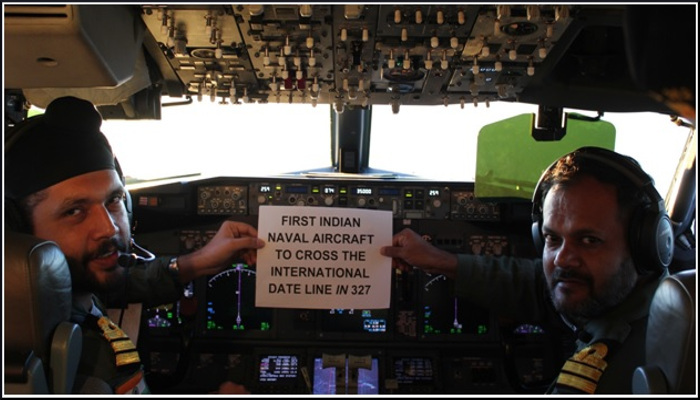 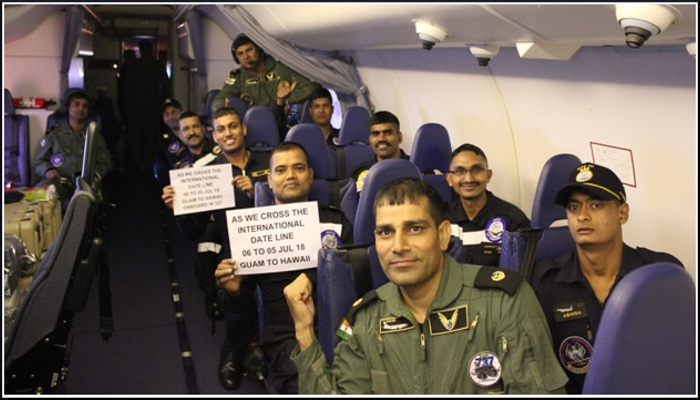 This is the first time that an Indian Naval aircraft has traversed so far East into the Pacific and in doing so attained many firsts for the same. 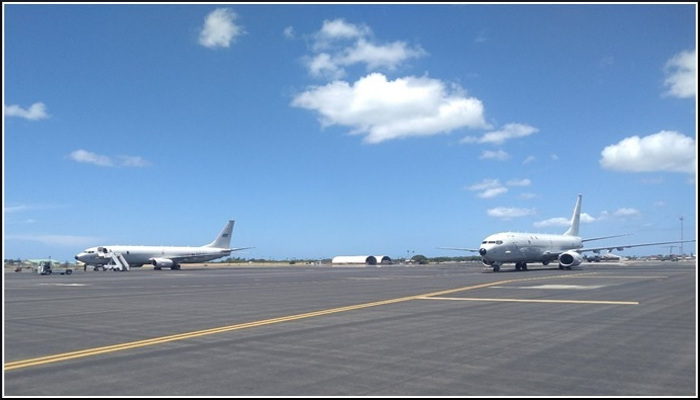 It is the first IN aircraft to cross the International Date Line, undertaking the longest ferry of nearly 3,300 nautical miles from Guam to Hawaii and the first IN aircraft to participate in RIMPAC. 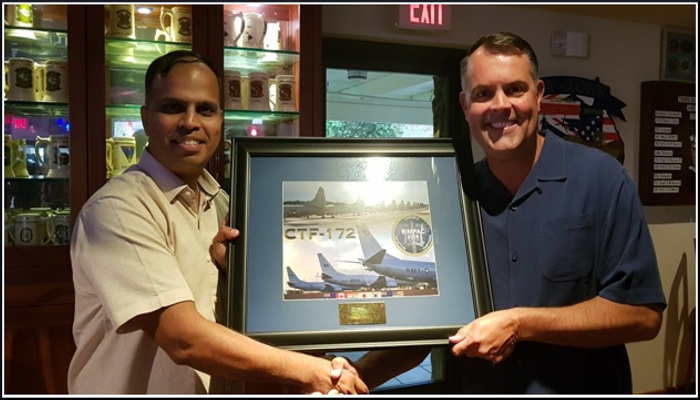 On arrival, Commodore Kevin Long, CTF 172 Commander presented a memento to Detachment Commander P8I. 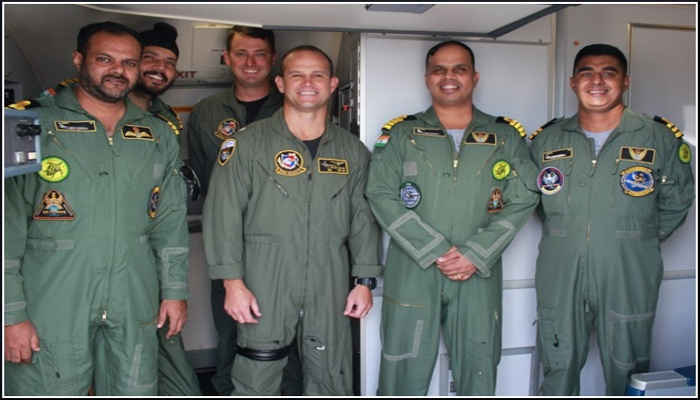 INS Sahyadri and P8I form part of the largest naval exercise, which has 26 nations participating in this year’s edition, and will undertake various tactical exercises along with participating foreign naval ships, submarines and aircraft to hone interoperability skills of the IN.